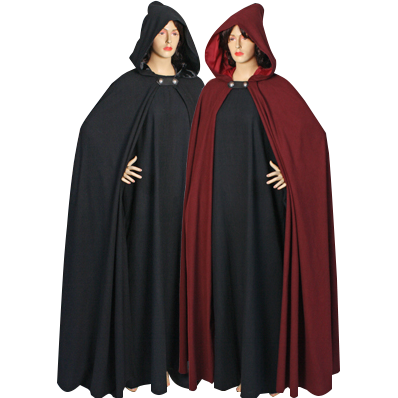 The Medieval Hooded Cloak with Leather Fasteners is a classic and fully-functional medieval cloak, but with a new, added twist. Where-as other cloaks are tied with laces, these cloaks have leather fasteners that keep the cloak on your shoulders. This cloak is made from 100% natural cotton, a medium-weight fabric that makes this cloak heavier then some, but in trade it is also more protective against the elements. The hood is fully-lined in satin for comfort. Instead of laces, an attractive leather and metal fastener acts as the clasp that holds this cloak closed around the shoulders. 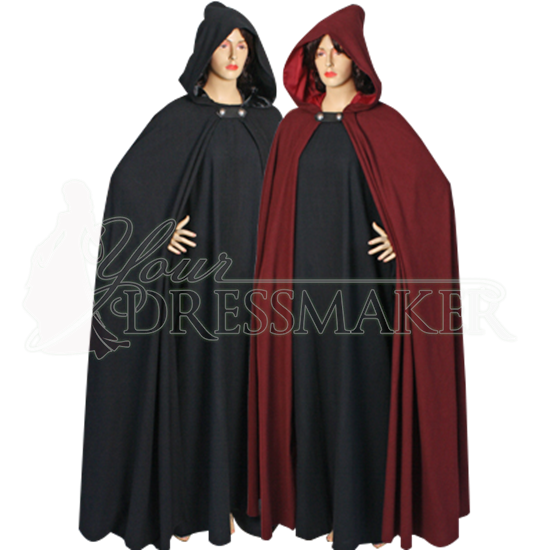 This cloak goes wonderfully with virtually any medieval or renaissance garment, and is available in a wide assortment of incredible colors. 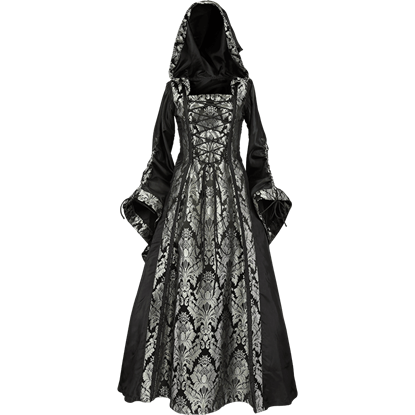 Please note that the Medieval Hooded Cloak with Leather Fasteners is shown above with a robe underneath, the robe is sold separately from the cloak.